Quality and Safety is the most important when making probiotic yoghurt. 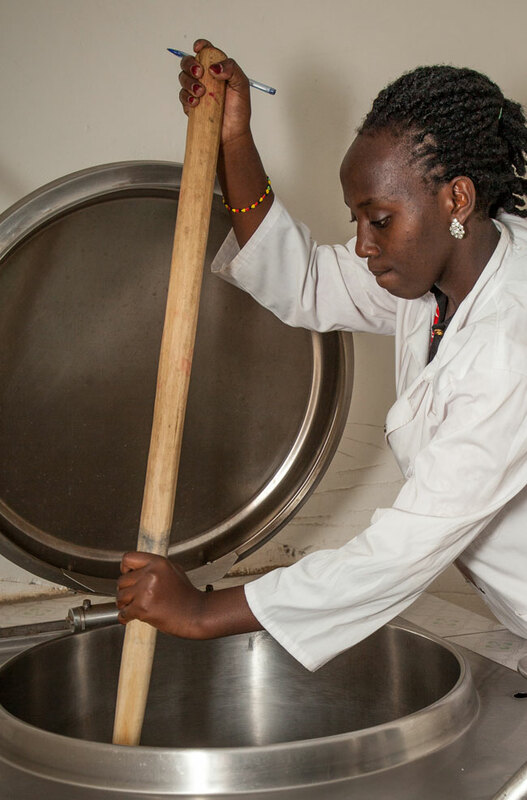 We teach you how to work safely and how you can assure that your Yoba yoghurt complies with the best quality standards. Our protocols are made in collaboration with the Ugandan Dairy Development Authority. Of course it all starts with the quality of the milk, the cleanliness of your equipment and hygienic way of working. The yoba starter cultures are shelf stable and active for several years. The starters are produced and released according to industrial standards and free from any contaminants. The Yoba for Life concept helps people in resource-poor countries by local production of a probiotic yoghurt, called Yoba, with proven health benefits. The Yoba for Life Foundation is a non-profit network organisation accredited by the Dutch Tax Authority as a public benefit institution (PBI).